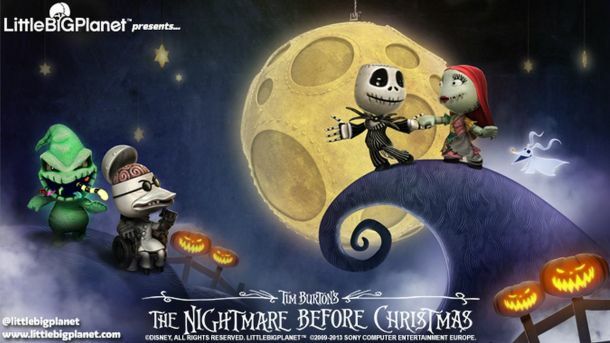 It’s the 20th Anniversary of Tim Burton’s The Nightmare Before Christmas and to celebrate this milestone anniversary of one of our all-time favourite fantasy movies, LittleBigPlanet present to you this brand new Level Kit that will allow you to visit Halloween Town for yourself in LittleBigPlanet 2 and LittleBigPlanet PS Vita for the ultimate Halloween experience! Meet Jack Skellington and Sally, Dr. Finkelstein and even Oogie Boogie too! Explore this dark wonderland packed full of fun and scares whilst seeking out the treats scattered throughout the town that will give your Sackboy or Sackgirl just what they need to create their own dark and spooky levels! Victor and Sparky also arrive to LittleBigPlanet this week in a brand new minipack based on another popular Tim Burton movie, Frankenweenie. This movie tells the tale of the brilliant young scientist Victor and his pet dog Sparky, a friend that he loved so much that even he learned of a way to be reunited with him even after a tragic accident looked set to part them! The Frankenweenie Minipack contains costumes of both Victor and Sparky and we’re sure that you will agree that Sparky is possibly the cutest undead friend that a boy could have! If you want to dress up as these characters, you will be able to pick up the Frankenweenie Minipack later this week.